Stethoscopes & Stuff: Let the games begin! I remember in the time up to my interviews for medical school myself and other students in our sixth forms medical society were panicking as we tried to wrap our head around these reforms in the very scary case that we were asked a question about it. These reforms were first proposed in 2012 under the Health and Social Care act causing the largest shake up of the NHS since it began. Under this act GP's (family doctors) are placed in charge of 80% of the NHS budget (replacing Primary care trusts which were scrapped), patients have more control over the care that they receive and frontline doctors and nurses are also given more power. Another one of the more controversial changes was a move towards a market-based running of the NHS as opposed to a planned healthcare system which would allow for an increase in the number of private patients a hospital can have as well as the allowing of private companies to take over certain services at hospitals And on Monday 1st April 2013 this Act was put into action across all of the NHS. This adaptation of a business-like mentality with the running of the NHS became a major talking point between not only those of us in my sixth form but many of those in the UK. Under this change the previous cap placed on hospitals, which stated they were only allowed to earn 2% of their money from private patients, now allows hospitals to earn 49% (49%?!) from private patients. Some of us thought that this change was a good idea as it would mean that the NHS would be able to create the money that it needed in order to sustain itself in the midst of all the savings it was being forced to make and improve the standard of care. Others, myself included, thought that it was a ridiculous idea and that it would lead to hospitals offering a much greater standard of care to their private patients when compared to their everyday ones - essentially the creation of a two tier system- and the offloading of the more expensive services. Already its widely known that as a private patient you are seen quicker than your 'poorer' counterparts who, as a result, are having to wait longer in order to receive the treatment that they need. And with the combination of this change along with the notion that patients have the ability to choose which hospitals they are treated at, there is a strong chance that more focus will be placed on trying to draw in these private patients - something which is being seen clearly in the plans of many hospitals who are looking to open new private patient units. In response to these fears ministers and some doctors alike are emphasising the fact that the increased revenue that is being generated will be used to help deal with the many strains placed on the NHS namely the ageing population, Obesity and Alcoholism but whether this will be the case is doubtful. 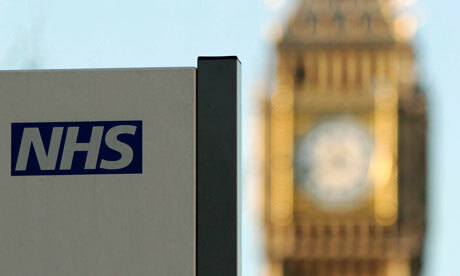 The introduction of competition to the NHS will see outside companies bidding to offer certain treatments to patients. Of course these outside companies will bid for those treatments which cost the least amount of money to run and so allowing them to have a greater profit margin. As a result the NHS could find itself having to deal with the most expensive areas of medicine, such as A&E services or the treatment of the elderly possibly leaving many NHS trusts bankrupt. So whilst the increase in private patients may allow for an increase in finances, whether or not it will be enough to deal with the services that it looks like the NHS will be 'left' to deal with is still to be seen. The combination of both of the issues I've mentioned means that the trust a patient holds in their doctor will be, and is already, reduced as they no longer know whether they are being given the same standard of care as private patients or whether they are being offered treatment options because they are the cheapest rather than because they are the best option. The commercialisng of the NHS will be taking place over the next two years and hopefully by the time I graduate the NHS will be in a position where everybody is being offered the same standard of care and patient confidence is restored.